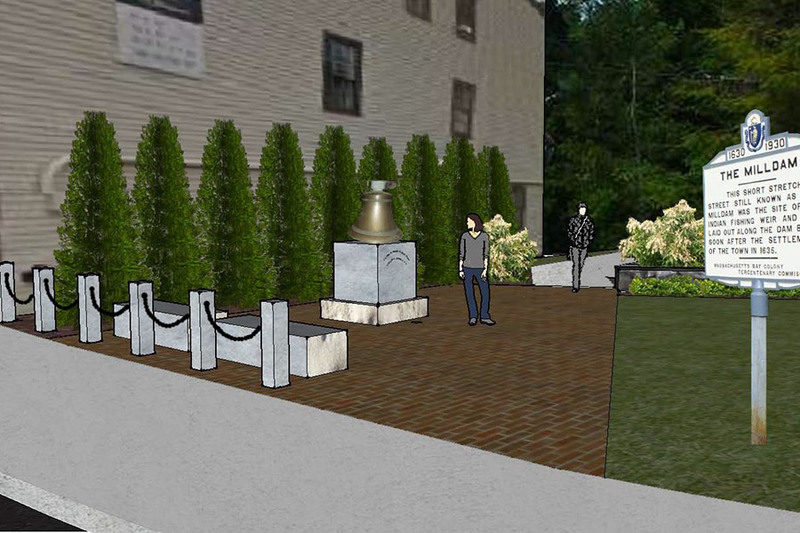 The Concord Rotary Club initiated a design process for locating the USS Concord Bell within the context of the Veterans’ Memorial Park in downtown Concord, Massachusetts. The committee members met on numerous occasions and prepared a list of design goals and design criteria focused on elements of community enhancement, sustainability and maintainability and preservation of the historic character of Concord. Locate the USS Concord Bell in a prominent, visible, approachable location. Retain the existing central monuments and brick walks. 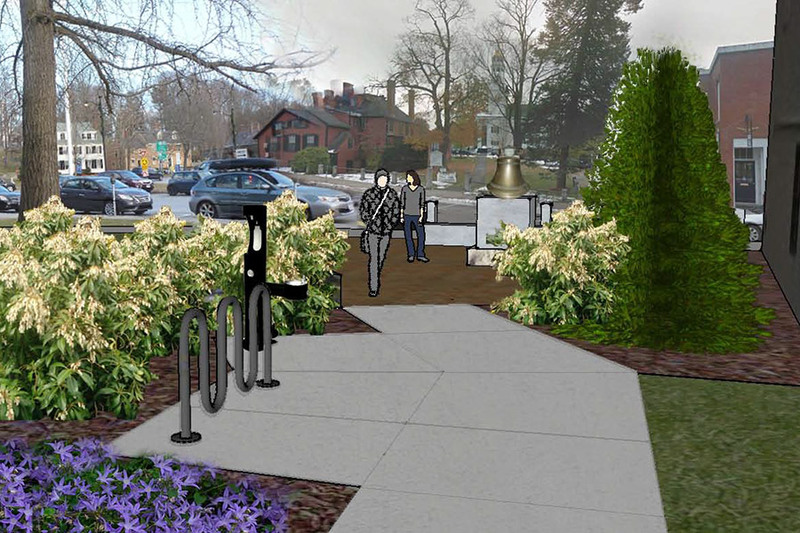 Provide a drinking/bottle fill fountain and bicycle rack in an accessible location. 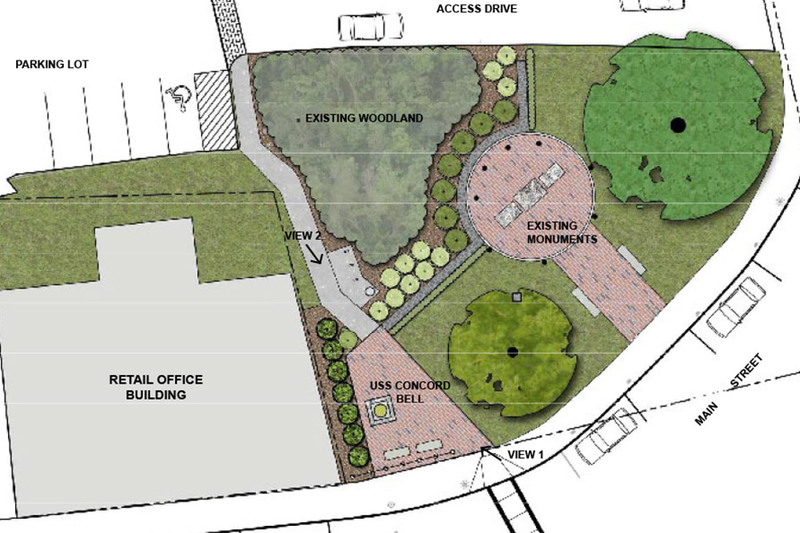 Provide plantings to soften the blank wall of the commercial building on the west side of this park space. Maintain the historic character of the area in the selection of new materials. Specify materials that are easy to maintain and durable through New England winters.